In English the word “drink” has alcoholic connotations (“I went drinking last night”, “he drinks a lot”). However, in Chinese you have to combine the verb drink, hē 喝, with the word for alcohol, jiǔ 酒.
hē jiǔ 喝酒 literally means drink alcohol. You can say nǐ hē jiǔ ma? (do you drink/ will you drink?) 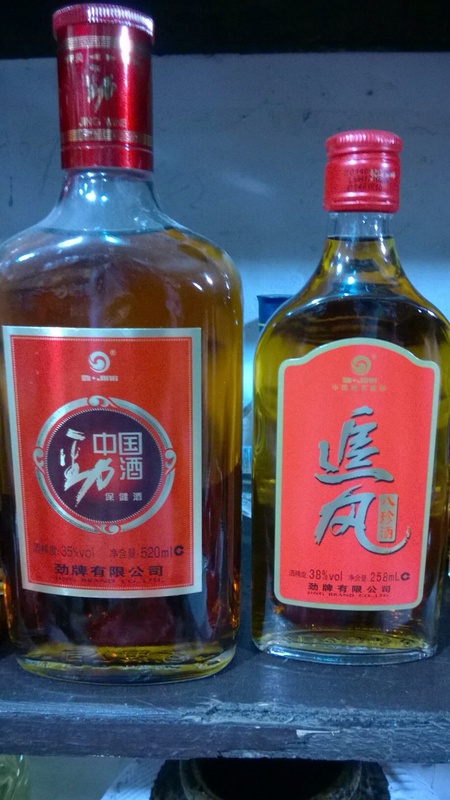 Different alcoholic drinks also carry jiǔ 酒 as a suffix. China isn’t famous for its beers and and there is a good reason for that; Chinese beer is typically very weak and by European standards not very good, to put it politely. 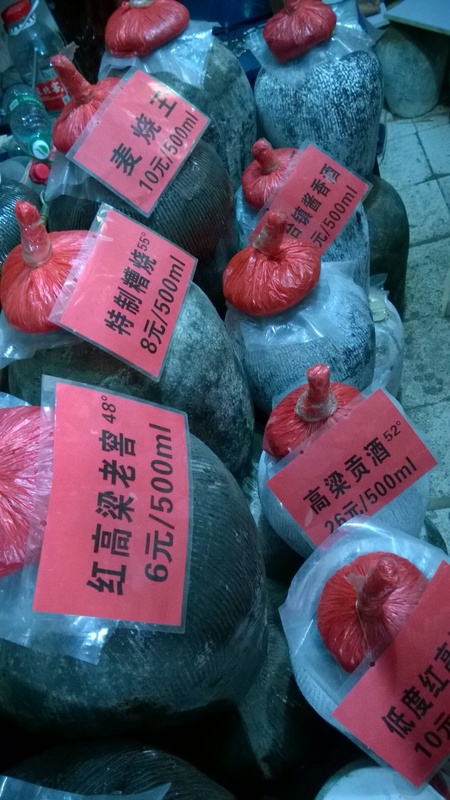 So if you’re going to hē jiǔ in China you have two main options: You can buy form the overpriced import section of a large supermarket or you can walk through dirty backstreets until you find a small shop selling traditional Chinese alcohol. 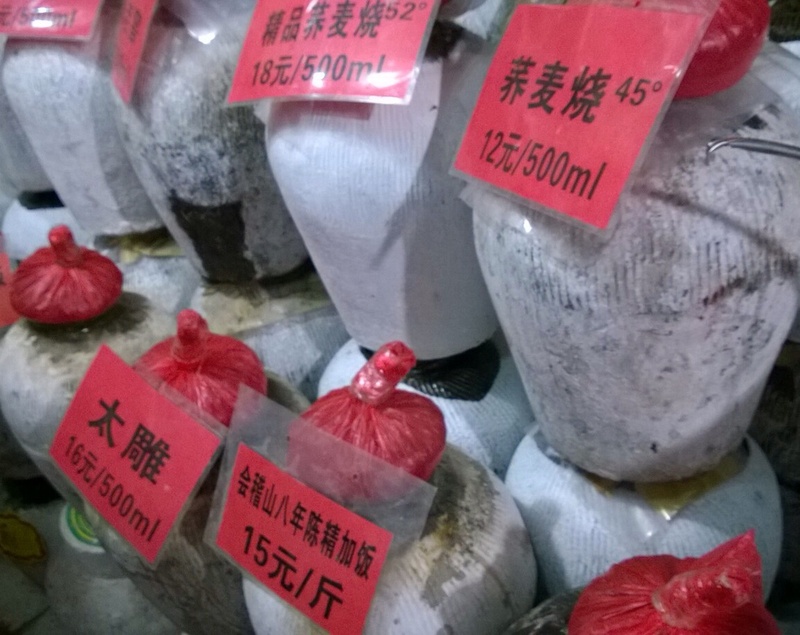 mǐ jiǔ is a generic term meaning “rice wine”, which can refer to many different types of alcohol made using rice. In China mǐ jiǔ usually refers to the lighter variety of rice wine used in cooking, although there is of course nothing to stop you drinking it. Be warned that it’s not unusual for Chinese people to make their own, particularly in rural areas. So when you hē jiǔ with Chinese friends you’re often never entirely sure of how strong your beverage is until it’s too late. “yellow alcohol” is a fermented rice wine that is particularly dangerous because, despite the strength, it doesn’t taste so alcoholic. It has a slightly sweet flavour and goes down very easily. Perhaps too easily. This stuff is an acquired taste. 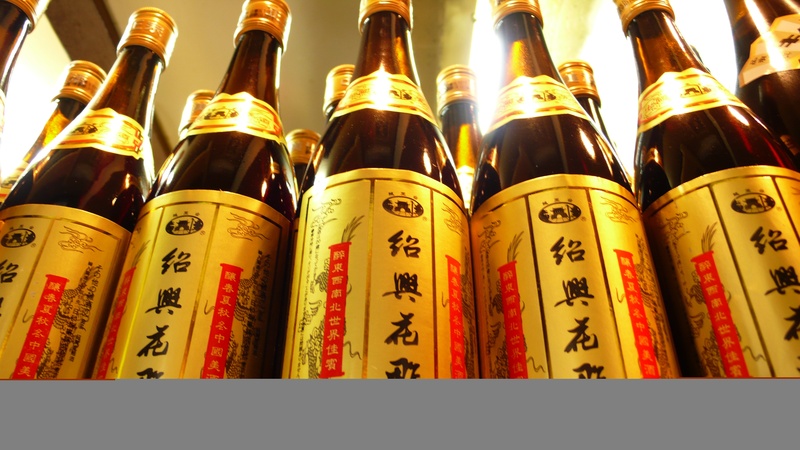 jìng jiǔ is actually a brand name and their “health preserving alcohol” is a strong rice wine flavoured with Chinese medicinal herbs. As a result it has a distinctive aroma. Even if it doesn’t actually have medicinal properties, that shouldn’t stop you from seizing this opportunity to hē jiǔ whilst claiming it is good for your health. 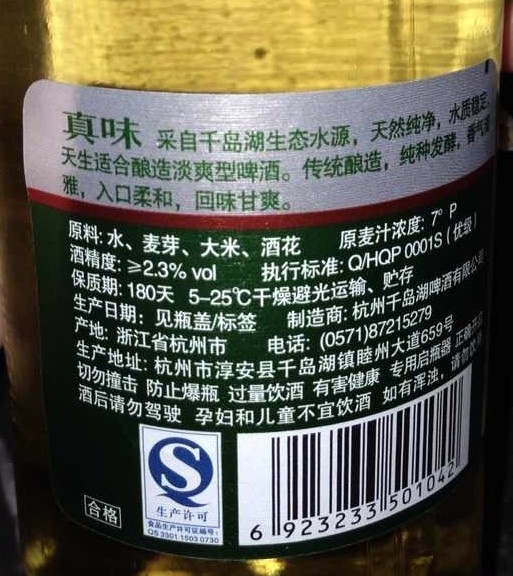 This is “white alcohol”, although a surprisingly large number of Chinese people will mistranslate it as “white wine”, which it definitely isn’t. It’s a clear beverage that is traditionally first fermented and then distilled. Quite simply, it is the daddy of all Chinese jiǔ. When Communist party officials celebrate the founding of the PRC on national day each year they drink bái jiǔ. When people celebrate Chinese New Year, they drink bái jiǔ. I’ve seen construction workers and farmers drink this stuff at lunchtime. There are many variations on bái jiǔ, such as yáng méi jiǔ. 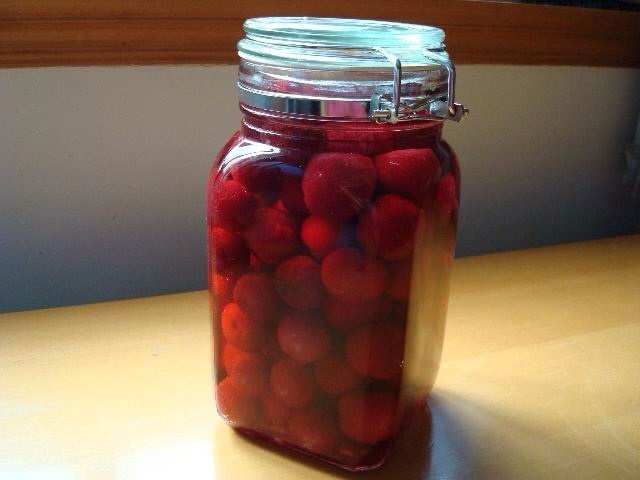 yáng méi is a small round fruit that tastes like rasberries, they soak them in bái jiǔ and the flavours mix like a cocktail. 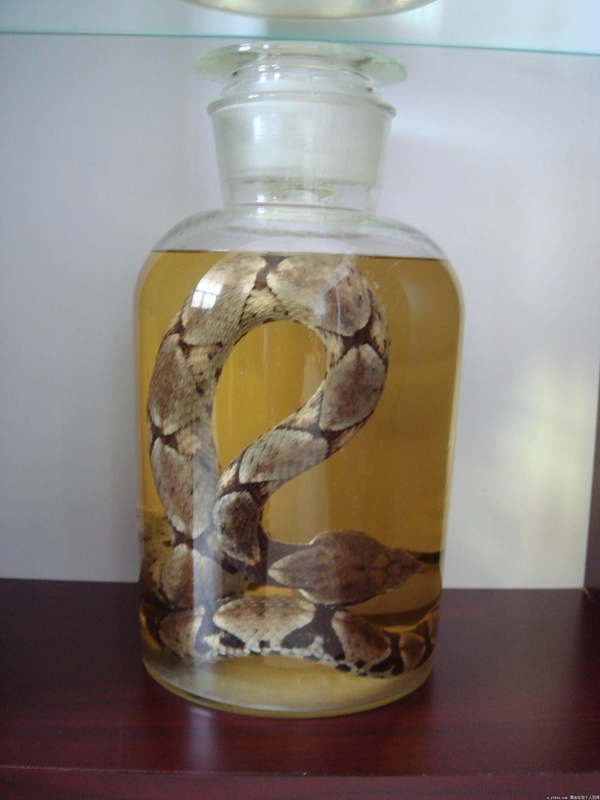 For the more adventurous there is shé jiǔ, “snake alcohol”, which is like yáng méi jiǔ but instead of soaking fruit in bái jiǔ they soak a snake in it. This entry was posted in Uncategorized, Word of the week. Bookmark the permalink.